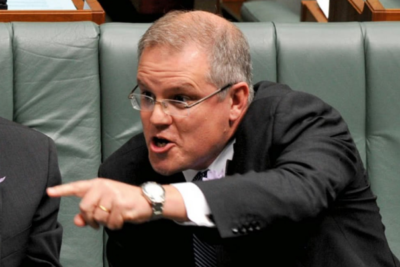 Just What Did You Expect Of Scott Morrison !!! (After all he is an islamophile Liberal Gang Member and his ascension set up was well orchestrated … it is time Australians stopped tolerating this Treasonous/Seditious/Subversive behaviour from “their” authorities) !!! … unleashing them upon (the stupid/naive) trusting Australians !!! … and you thought it was ONLY the LABORs who were islamophiles/Traitors !!! … it’s probably guilty of Treason/Sedition/Subversion !!! (as things are – it is NOW up to each Australian politician to establish their innocence … watch their walk – avoid their talk) S.o.S !!! This isn’t just ‘bad news.’ It’s utterly terrifying. If the so-called ‘Conservatives ‘ and ‘right wingers’ are going to throw open Australia’s borders like this, imagine what’s going to happen when the Labor Party and the ‘globalist’ Greens get in. We really are totally screwed. H.L. Mencken (1880 – 1956) was a journalist, satirist, critic, and Democrat. He wrote this editorial while working for the Baltimore Evening Sun, which appeared in the July 26, 1920 edition.